It’s that time of year again in the northern hemisphere – winter. And with it comes colds, flus, and sore throats. Besides being an author / editor / translator, I’m a vocal coach, and so I deal with more than a fair share of throat issues. I have a number of tips and tricks for healing throats quickly, but one of the best medicines I know of is what I share with you here; we’ve used this for a few years now, and I’ll never go back to chemically-produced, expensive products! That’s it! If you want to add a bit of filtered water, you can, but it’s better straight-up. 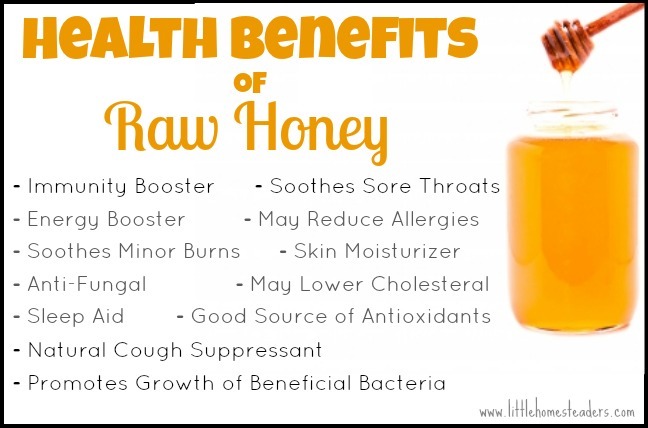 Adjust the amount of honey for your own use, but try to keep the proportions fairly even. Store in a bottle, shake well before using, and drink as much as needed; I keep a small plastic cup with the bottle for each person in the household. I good swig of it every few hours alleviates the soreness, dryness and scratchy throat feeling; the great thing about this all-natural product is that you can take it as often as needed, with no limits to dosages per day. 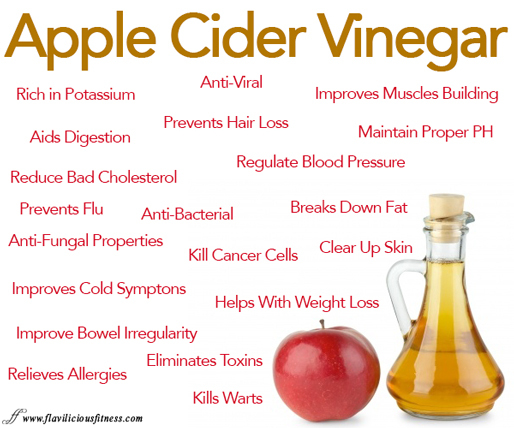 Start off with a tablespoon three times a day, and adjust as warranted by your situation. In the far northern reaches of the Highlands of Scotland a Pictish tribe, with their language of peat, stone and sea, ally together with a strange kingdom of mist, sky and whispers. As a foe of axe, smoke and leather descend upon them in longships from the north and they are scattered in defeat, will those left behind ever find those wrenched from their arms? Will those slaves taken by the Vikings ever find their way to freedom and home or not? Either way life will never be the same again. I saw this today, and had to post it – I’m still laughing! 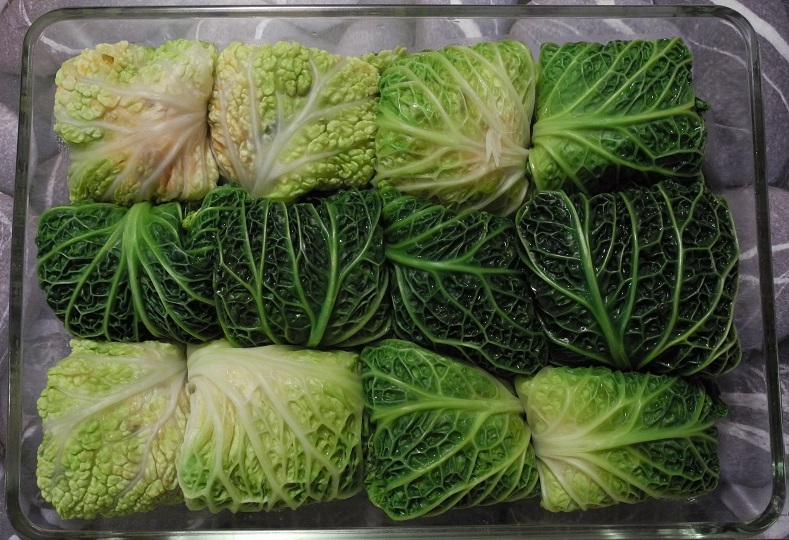 Nearly a year ago, I posted a recipe for Beef & Feta Cabbage Rolls; my husband loves Savoy cabbage, and so here’s a vegetarian version I made this week. It can be assembled ahead of time, and then baked before serving. It goes well with rice, or potatoes and gravy, and a fruity red wine, or chilled white wine that goes well with cheese. To Prepare the Savoy: Per person, take 2 of the outer leaves (without ripping them, though they’ll still roll if you do rip them) away from the head of cabbage; wash them, and then with a sharp knife, carefully pare away the thick stem area as thin as possible without breaking through. Place 2-3 leaves at a time on a large plate in the microwave, and microwave on high for 1-2 minutes; remove and set aside, repeating for the amount of leaves required. Set aside. To Prepare the Filling: Meanwhile, finely chop the rest of the head of cabbage, the onions, and slice the mushrooms. In a deep frying pan, with a dash of your favourite oil (I used refined coconut oil), sauté the filling; the cabbage looks like way too much, but it will cook down – just add a bit at a time, and as it cooks down add more. Spice to taste, adding the tomato juice as the filling cooks down. Once the filling is cooked to your taste (you can either leave it a bit crunchy, or cook it thoroughly), set it aside. To Roll: On the (still warm) pile of Savoy leaves, spoon a spoonful or more of filling into the centre of the top leaf; fold in the sides and then the ends into a “square”, and turn upside down as you place it into a casserole dish. Repeat with the rest of the leaves. Top with the grated cheese, and then the breading crumbs for a crunchy topping. Bake at 200°C (400+F) for ~30-45 minutes, until the topping becomes golden brown. In the meantime prepare your side dish of potatoes, rice, gravy, or whatever you choose. If you’re like me, you don’t have either room or inclination to have specialized kitchen appliances such as a dehydrator. I am very pragmatic, so I use my fingers and a knife to cut rather than special slicers and dicers, but when it comes to puréeing, there’s not much choice other than a blender or similar appliance. Fruit leather is something that you can either make in a dehydrator, or if you have none, in your oven or even in the microwave. The following is less of a recipe as far as amounts go, but rather instructions for adapting to your own needs. While the title says “fruit”, you can use the same technique for moist vegetables such as tomatoes or squashes; any time you have an excess, or food that needs to be processed before it goes off, this is a great way to prepare it for longer-term storage or easy travel food. Just purée fruits or vegetables that want “leathered”, & add a BIT of spices (whatever is appropriate to your leather; just remember that it will concentrate as the juices evaporate, so go easy on any additional flavouring!). Line a baking sheet with plastic, up over the edges, but NOT touching the metal of the stove. Pour in a layer about the thickness of 2 coins’ edges, leaving about 1″ (2 cm) free around the edge of the plastic. Bake at ~200°F (93°C) (warm enough, but not hot enough to melt the plastic wrap!! ), for several hours (my oven takes about 6 hours), with the door of the oven propped open a wee bit to let out the moisture. When the leather is a bit sticky but “leathery” to the touch, it’s done. Take it out, let it cool a just wee bit, then roll it up in the plastic while it’s still flexible. Freeze until needed, or eat it straight. Purée any ripe fruit, skin and all (except pit or seed) in a food processor. Turn a casserole dish upside down and cover with plastic wrap. Spread 1/4 cup purée into a circle, very thin with edges a little thicker, making a hole in the centre the size of a thumb print. Microwave on 50% power for 8 to 12 minutes or until slightly sticky to touch. Remove plastic wrap and leather to cool and finish drying overnight. Check the consistency (it should be a bit sticky but “leathery” to the touch), and then roll up. You can combine fruits; a banana gives it bulk. Try coconut, pineapple, etc. Go easy on any seasonings: Cinnamon, lemon, honey, etc. The fruit leather will keep at room temperature for one month, or in a freezer for up to one year. Melted chocolate, soft cream cheese, marshmallow cream and peanut butter make fun fillings for fruit leathers. Do not use waxed paper or aluminium foil instead of plastic wrap! Eat as a snack, or reconstitute to use in cakes, etc. These are great snacks for taking to work, school, or on hikes! Roll thinner strips a bit crooked, to create a “rose”. 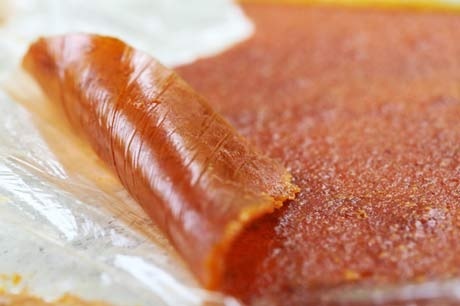 Properly dried fruit leather is translucent and slightly tacky to the touch, but easily peeled from the pan. Apple sauce can be added to more tart fruit purée such as cranberry to soften the taste, or to stretch more expensive fruits. Vegetable leather can also be eaten as a snack or reconstituted for stews to add flavour. Strain to remove any larger bits, especially if using drier vegetables such as carrots.